I feel so honored to have been asked to design an invitation for a client whose grandmother is turning 102. 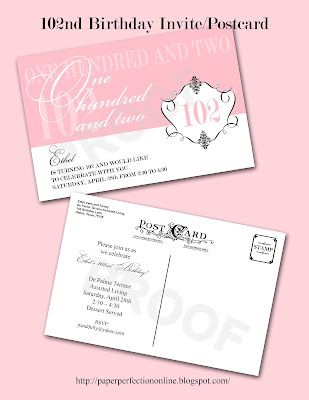 The birthday girl loves pale pink and my client wanted a postcard invitation. 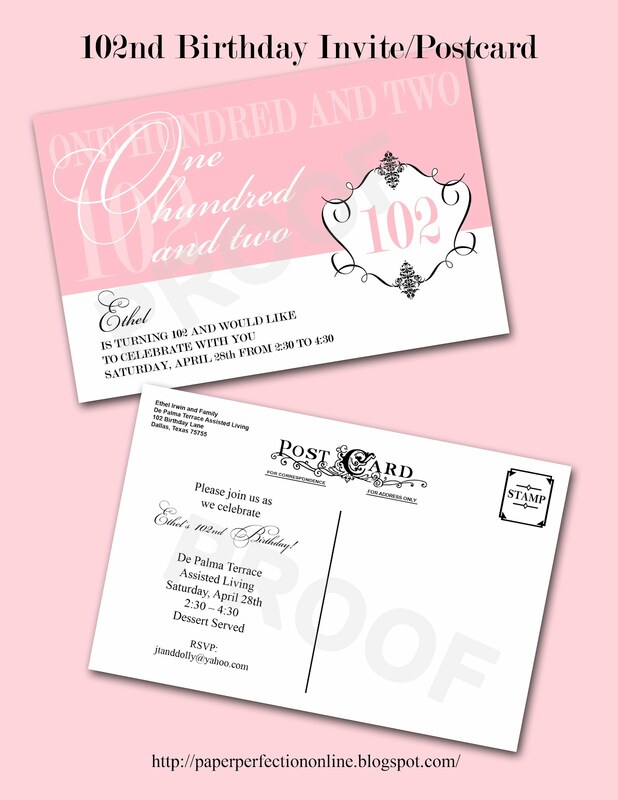 If you need a custom invite for a special event like a 102nd birthday party, contact Paper Perfection at jtanddolly@yahoo.com for pricing and details.